See the picturesque villages and lovely countryside of Provence on a small-group day trip from Nice. With your transport taken care of, you can sit back and enjoy the scenic drive to Cannes where you'll see its top attractions, including famous La Croisette Boulevard and the Film Festival Palace. 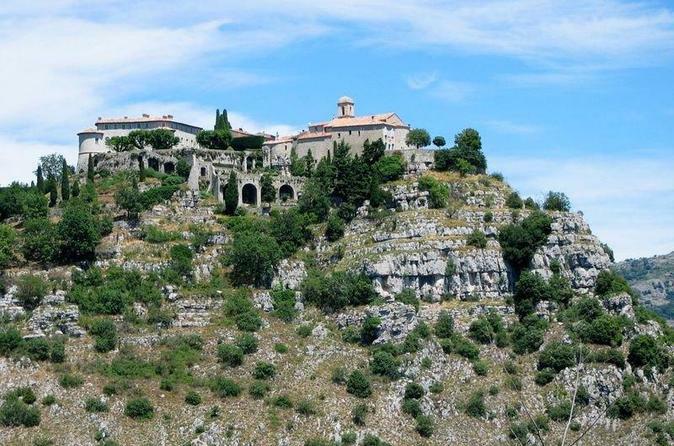 You will also visit Gourdon and Saint Paul de Vence. This small-group tour is limited to eight passengers, ensuring you receive personalized attention from your English-speaking guide. From Monte Carlo to Cannes you'll see all the fabulous towns of the French Riviera on this small-group day trip from Nice. You’ll delight in the scenic drive along the famous Mediterranean coastal road, as the sparkling blue sea shines, dotted with white yachts. Your journey takes in the designer shops of Cannes, trendy boutiques in Juan-les-Pins and the royal palace in Monte Carlo. This small-group tour is limited to eight passengers, ensuring a personalized experience. 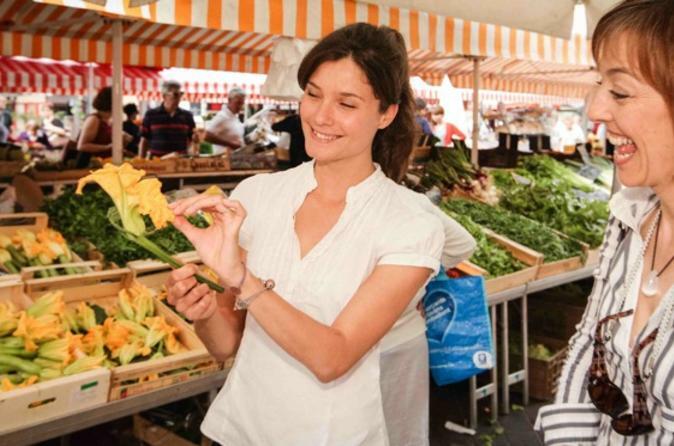 Eat your way around Vieux Nice – Nice’s old town – on a 3.5-hour food walking tour! Led by a local guide passionate about the region’s rich gastronomic heritage, your tour includes up to 20 samples of deliciously different dishes from Nice. Sip wine from the nearby Provence hills, and try the famous pissaladière onion tart, the chickpea based socca or the succulent petits farcis stuffed vegetables. Learn about the Italian influence on the city’s cuisine, and visit top Nice attractions like the Cours Saleya Flower Market and Castel Hill. This small-group tour is limited to just ten people, ensuring you’ll receive personalized attention from your guide. Discover the best of the French Riviera. 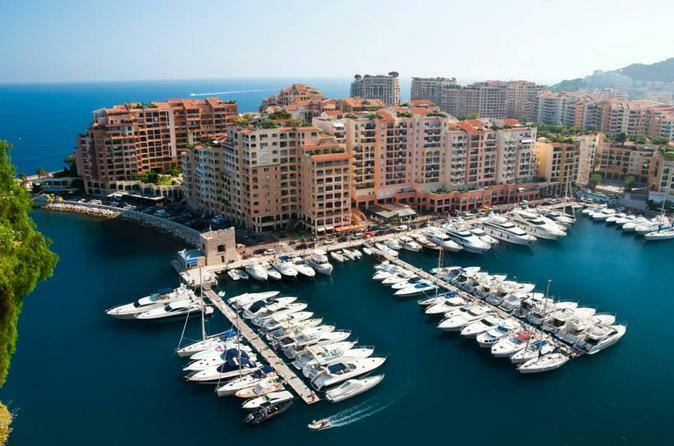 Explore the unforgettebale Principality of Monaco Monte-Carlo. Visit the famous city of the stars "Cannes".Get the best points for the panoramic views. 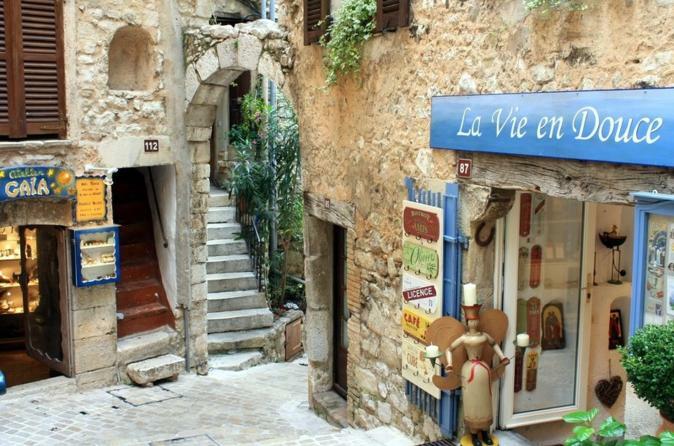 Visit to the medieval villages of Eze and Saint-Paul-De-Vence. Go to Antibes, the tourist-oriented city. 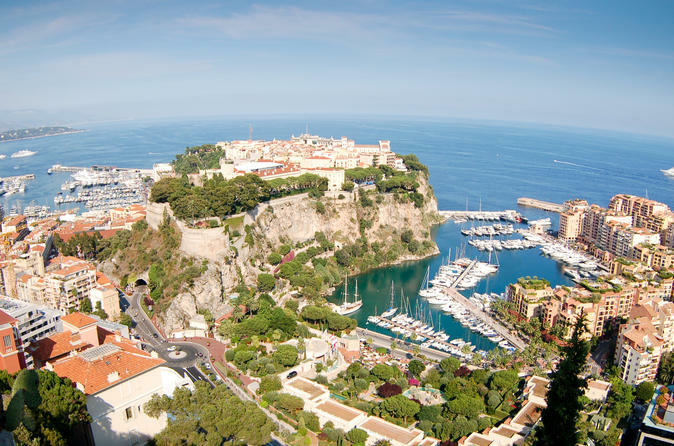 Get to Monaco the easy and scenic way, on a cruise along the French Riviera! From Nice, enjoy a relaxing 45-minute ferry ride along the Mediterranean coast to the glitzy, glamorous principality of Monaco, where you’ll have all day to spend at your leisure. Wander the yacht-filled harbor and luxurious city center, and visit top Monaco attractions such as the Prince's Palace, the Casino of Monte Carlo and the Oceanographic Museum — your itinerary is up to you. At the end of the day, hop on the ferry and cruise back to Nice. Explore top Nice attractions and take pictures you can’t wait to share on a fun 1-hour or 2-hour Segway tour. Cruise through historic Old Town, admire the seafront Promenade des Anglais, explore the colorful Cours Saleya flower market, enjoy panoramic views from Castle Hill, and visit several other don’t-miss sights in this beautiful city on the French Riviera (Côte d’Azur). 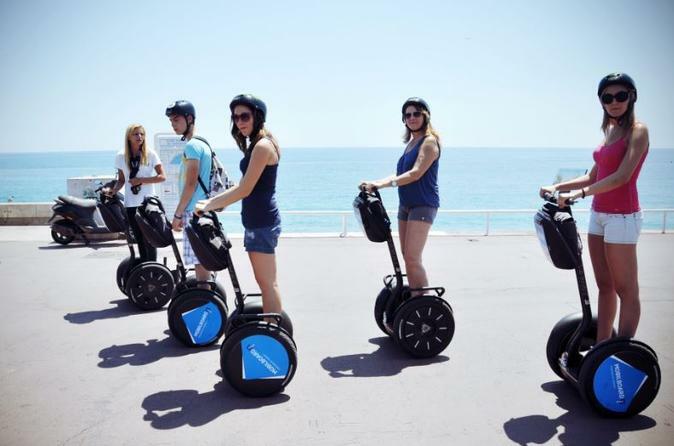 This intimate, leisurely Segway tour led by an expert guide is a more novel way to experience Nice than a walking or bus tour. This small-group tour is limited to eight people for a more personalized experience. Take advantage of your time in port in Villefranche, near Nice, by discovering two gems of the French Riviera: Eze and Monaco. 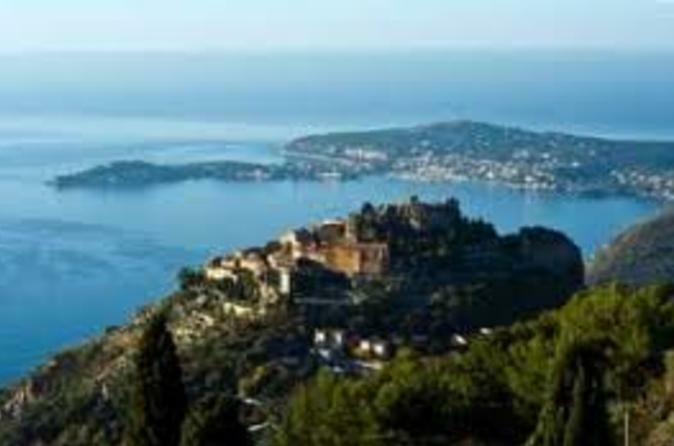 On this small-group shore excursion, visit the picturesque village of Eze for a guided tour of the Fragonard perfumery. 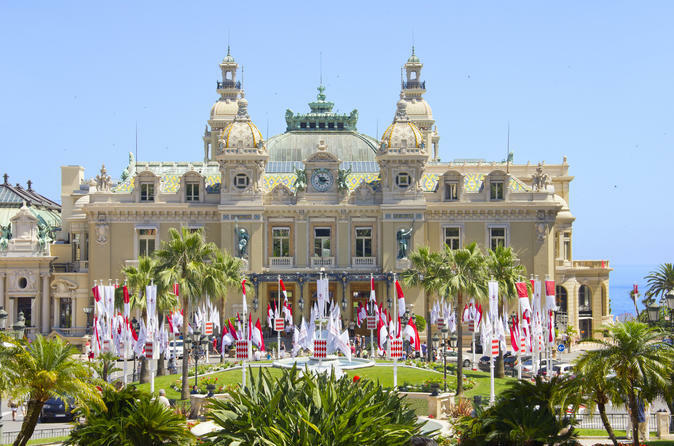 Then enter glitzy Monaco to watch the Changing of the Guard ceremony at the Prince's Palace, drive along the world-famous Formula One Grand Prix race circuit and visit Monte Carlo’s Casino Square. This small-group morning or afternoon tour is limited to eight people, ensuring you'll receive personalized attention from your guide. Head inland from Nice to see the best of Provence on a full-day tour, discovering the beauty of the region’s much-applauded landscape. Pass rocky promontories sitting alongside lush vineyards and see flower-drenched hamlets at every twist and turn. 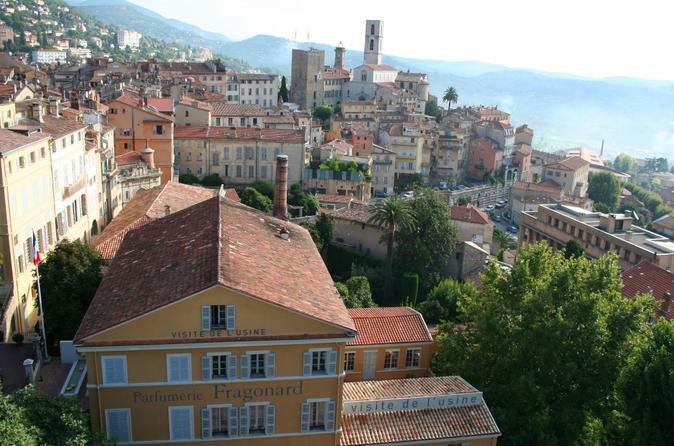 With an expert local guide, visit Grasse, the perfume capital of France, for a tour around its famous Fragonard Perfumery, and then explore the towns of Valbonne and Gourdon. Back in Nice, tour the Château de Crémat wine estate and sample local Bellet wines. This small-group day trip is limited to just eight passengers, ensuring you’ll receive personalized attention from your guide. When your cruise ship docks in Villefranche-sur-Mer, and you have only a single day to see the beautiful cities of Monte Carlo, Eze and Nice, you’ll need a privately guided, fully narrated shore excursion to show you the best of these French Riviera destinations. Enjoy visiting the most glamorous country in the world, Monaco, discover the picture-postcard village of Eze and delight in the charms of Nice. 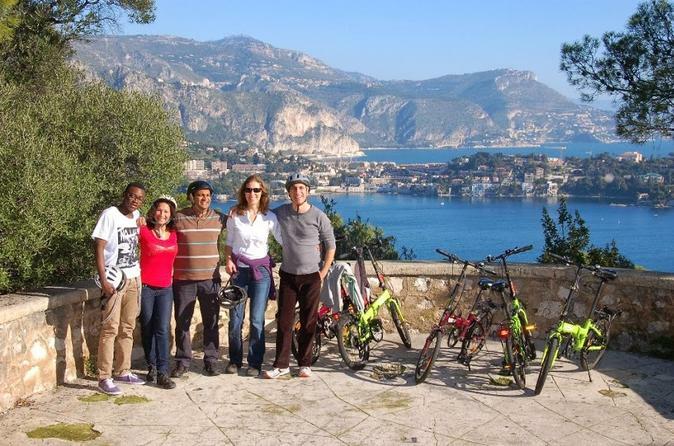 Enjoy stellar views of the French Riviera on a 4-hour tour by electric bike; it’s a fun, easy, eco-friendly way to sightsee with the whole family. Admire the yacht-filled Port of Nice before embarking on quiet Mediterranean coastal roads to Mont Boron City Park, Fort du Mont Alban, the medieval Citadel of Villefranche and colorful Villefranche town. Learn about the sights, take in the views and discover secret spots not found in the guidebooks! Numbers are limited to 10 on this small-group tour, ensuring you’ll receive personalized attention. Even if time is tight it's easy to take a quick two-hour tour to Monaco in the morning or afternoon. With your transport taken care of, you can sit back and enjoy your short visit to Monte Carlo on this private personalized tour, and spend the rest of the day how you please. Upon your arrival in Monaco, stop in Eze to discover this medieval village overlooking the French Riviera, and take the opportunity to visit the perfume factory Fragonard. 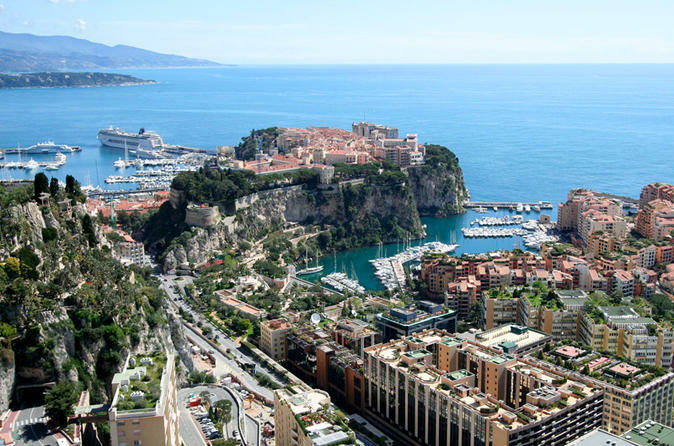 Driving through the village La Turbie with its Trophy of the Alps, reach the luxurious principality of Monaco with the Prince Palace, the Cathedral, the Monte Carlo Casino, the gardens, and the famous formula One Grand Prix circuit. This small-group tour is limited to eight people, ensuring a more personalized experience. Get a taste of the high life on this exhilarating sports car experience in Nice! You’ll either drive or ride in one of the world’s most evocative supercars – a convertible red Ferrari – around the French Riviera’s glamorous capital. Choose between a 1-hour ride or drive, and feel the intense power of this incredible Italian machine as you speed along scenic roads like the famous Promenade des Anglais! 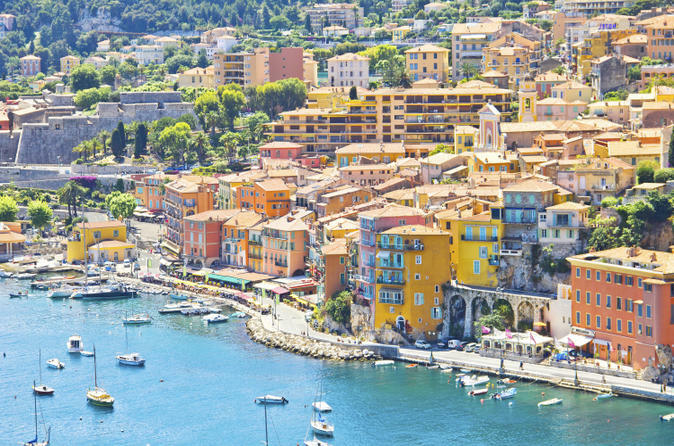 Explore southern France in style on this private 8-hour French Riviera day trip from Nice. Travel the coastal road with your guide and soak up spectacular sea views. Discover the medieval village of Èze, home to the Fragonard perfumery. Take a spin along Monaco’s Formula One Grand Prix track then try your hand in the casinos. Browse designer shops and trendy boutiques in Cannes and admire luxury yachts bobbing on the waves in Antibes’ Billionaires’ Quay. With your private guide to show the way, choose your itinerary to suit your interests. Learn all about French wine at a wine merchant’s depot in Nice and taste a variety of wines on this perfect pre-dinner activity. Your guide, a professional merchant of organic wines, will explain the different wine regions of France and how to read a French wine label. Master the art of wine-tasting and hear how Champagne is made. Then, sample generous tastings of six different organic wines, including a Champagne -- an ideal way to start an evening out! This small-group tour is limited to 11 people to ensure more personalized attention from your guide. 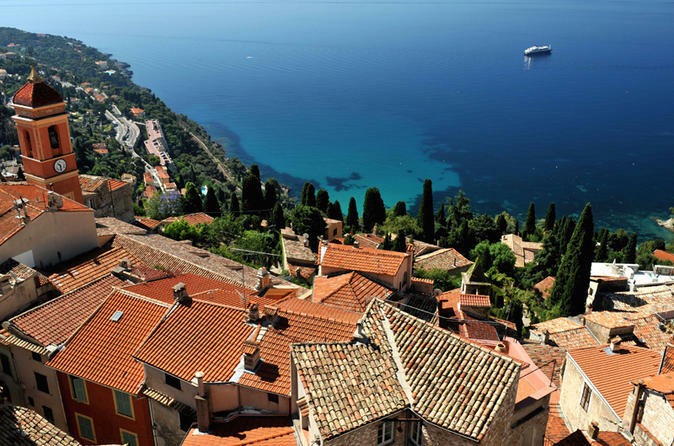 Start your half-day tour with a panoramic view of Villefranche en route to the medieval village of Eze and visit its perfume factory. When you reach the Principality of Monaco your driver-guide takes you on a spin down the Formula One racetrack to Monte Carlo, which features outstanding architecture. While in port in Villefranche, let a guide show you two sides of the French Riviera on this full-day shore excursion to glamorous Monaco and medieval Eze. Enjoy Mediterranean views as you drive along the coast to the hilltop village of Eze, where you'll tour the famous Fragonard perfumery. 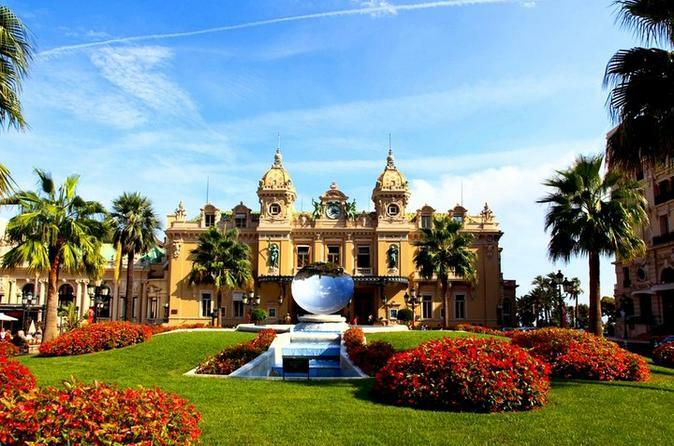 Then head to Monaco for a sightseeing tour of the Prince's Palace, Monaco Cathedral, the Formula One Grand Prix racetrack, Monte Carlo’s Casino Square and more. Numbers are limited to eight people on this small-group tour, ensuring a more personalized experience. 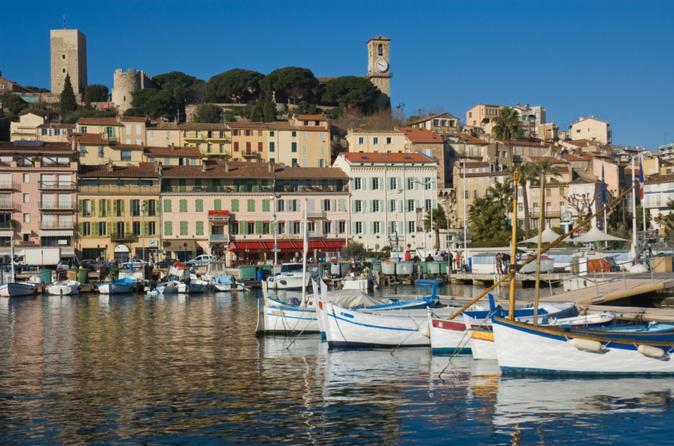 Be transported to the splendid countryside of Nice and Cannes and their quaint towns on a private day trip from Nice. With your transport taken care of, you can sit back and enjoy your visit to Provence on this personalized tour. 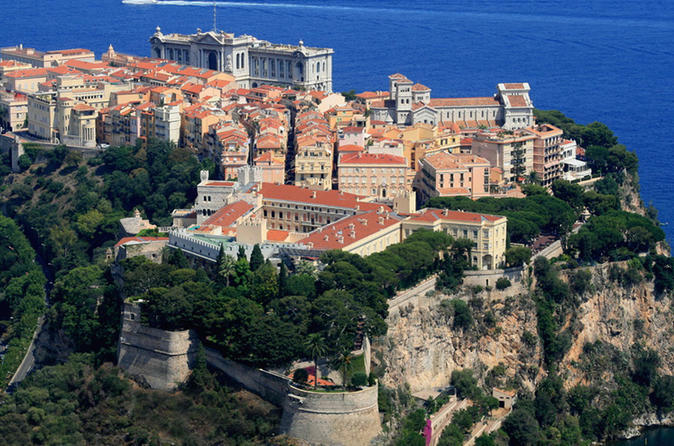 On the way to Monaco, enjoy the panoramic drive along the coast, over Nice, Villefranche Bay, and Monaco. 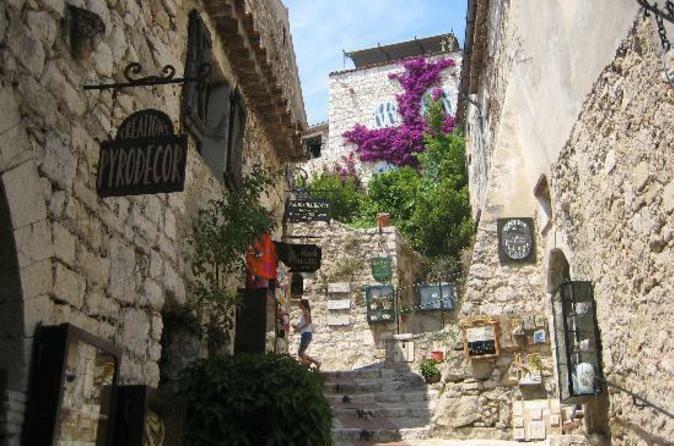 Stop in Eze to visit this amazing medieval village and learn about the whole process of perfume with Fragonard. After a drive through the village of la Turbie and its 2000 years old monument, the Trophy of the Alps, you will reach the Principality. 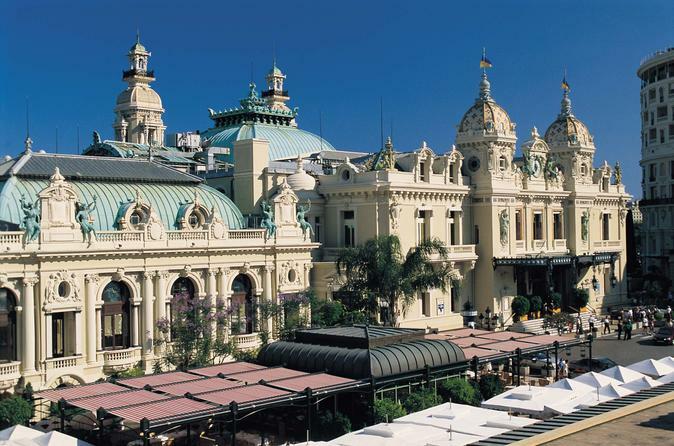 Discover the Casino square of Monte-Carlo with luxury shops and cars. Take a ride on the Formula 1 circuit and reach the old town. Stroll in the tiny streets, see the changing of guards (11.55 am), visit the Oceanographic museum, the Prince’s Palace, and the Cathedral. This small-group excursion is limited to eight people, ensuring you’ll receive personalized attention from your guide. Full day 8-hour tour of the countryside surrounding Nice. 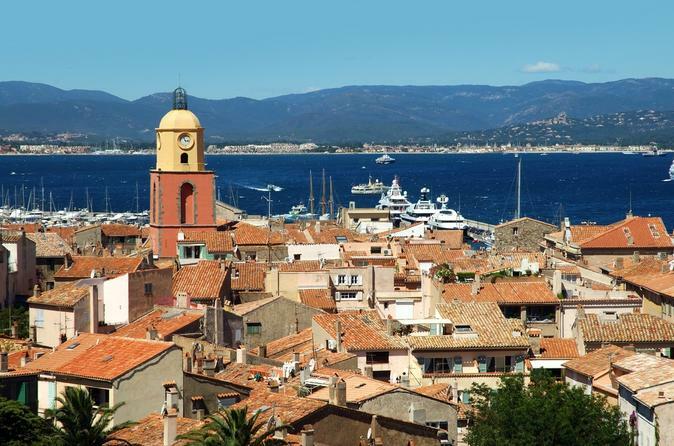 Tours visits: Grasse, Gourdon, Tourettes-sur-Loup, Saint-Paul-de-Vence and Cannes. 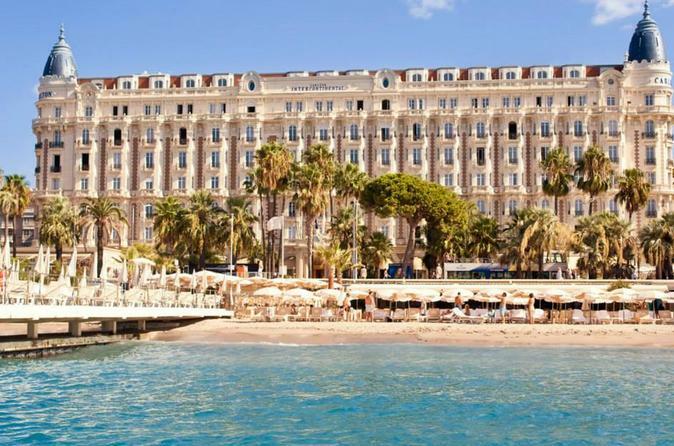 Explore Cannes, city of actors and stars, the 'Beverly Hills' of France, and its magnificent 'Croisette'. Then move on to Antibes, one of the most exclusive areas of the French Riviera, with the port of billionaires. Lastly, marvel at the 'Jewel of Provence', Saint-Paul-De-Vence, before being driven back to Nice. 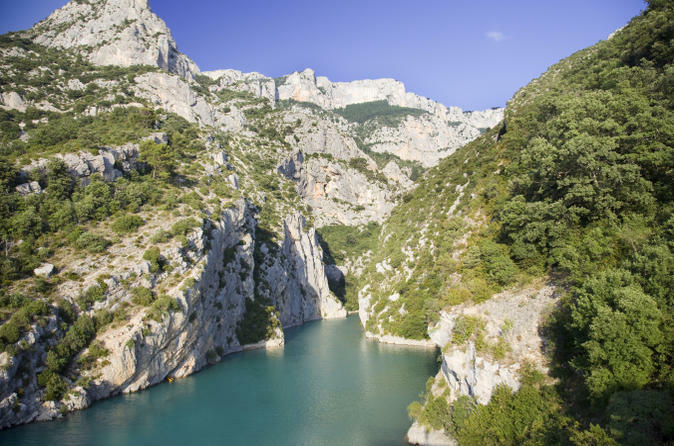 Discover some of France's most spectacular scenery on this private day trip from Nice to the Verdon Gorge and the villages of Castellane and Moustiers-Sainte-Marie. 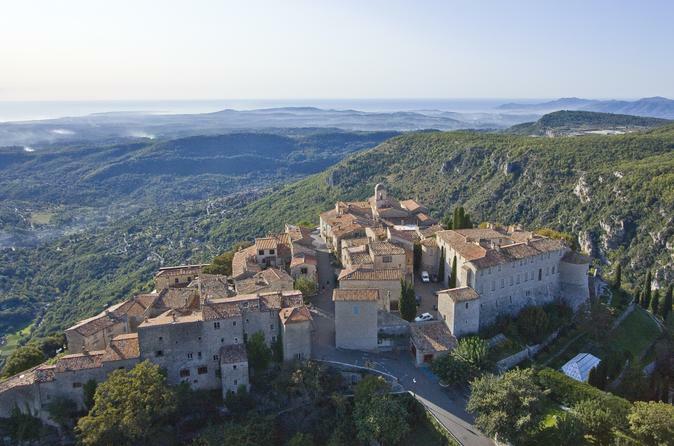 Take in panoramic views of the stellar river gorge in the tucked-away village of Castellane, and relax beside the turquoise Lake of Sainte-Croix beneath soaring mountain peaks. 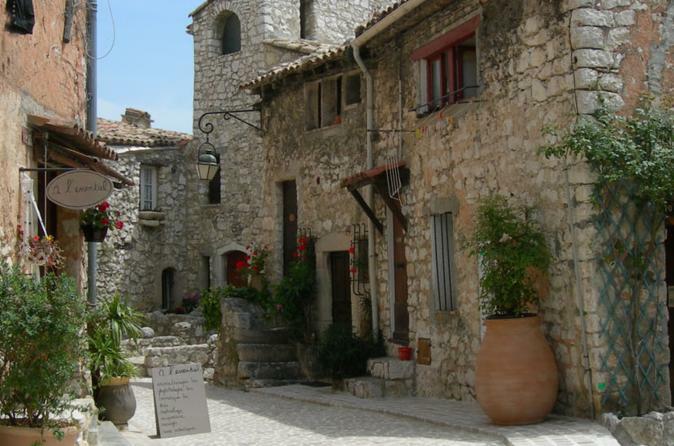 Spend the afternoon browsing shops and cafe-hopping in the lovely village of Moustiers-Sainte-Marie. Enjoy personalized commentary from your guide on this private tour, and customize the exact itinerary to your interests. 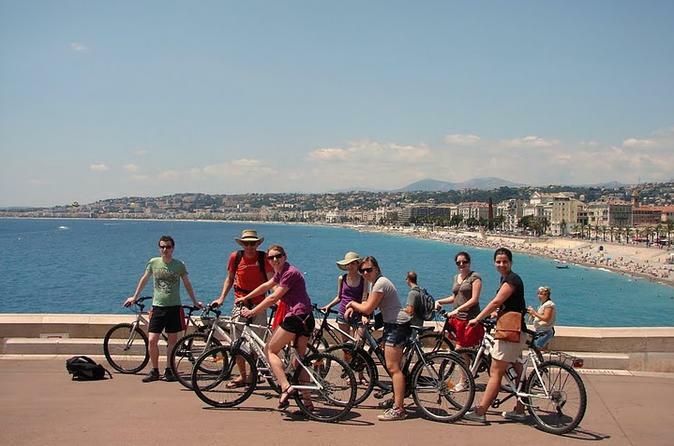 Visit Nice in a different way on a 3-hour small group tour by electric bike. Your tour will include informative commentary about the city and it's history. Have fun as you climb up the slopes and see the sights from great vantage points. Explore the picturesque French seaside town of Nice on this half-day electric bike tour of a local winery. 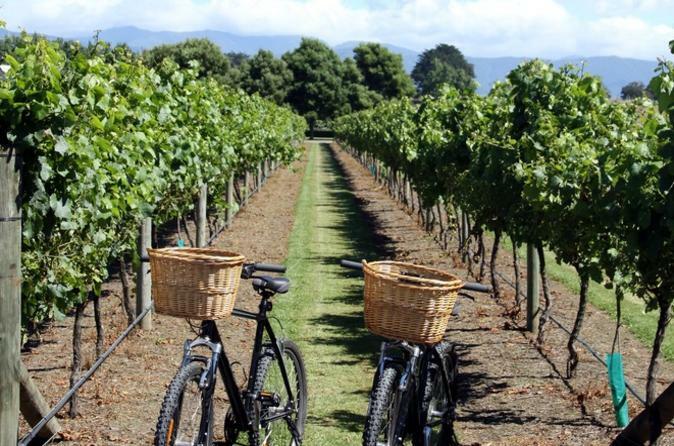 The tour takes you through scenic vineyards, enhanced by the ease and comfort of an adjustable electric bike. You’ll meet local winemakers and taste the fruits of their labor, and learn about Nice’s rich gastronomic history from your informative guide. It’s the perfect way to experience the best of a captivating city. This small-group tour is limited to 10 people to ensure a pleasant ride. While you’re in port in Villefranche-sur-Mer, don't miss the chance to see as much of the beautiful French Riviera as you can in half a day. 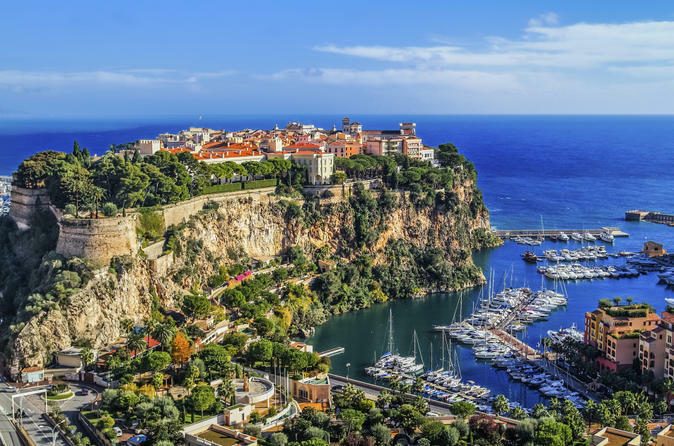 This four-hour private shore excursion will take you to Monaco and Eze. Choose either a morning or afternoon tour; with your transport taken care of, you can sit back and enjoy the scenic drive along the Mediterranean coast and the short visits to glamorous Monte Carlo and medieval Eze. This short shore excursion will allow you to spend the rest of the day as you please. In this half-day tour, explore Nice, one of the jewels of the French Riviera. Admire the fantastic views over the city of Nice from atop Castle Hill and the city main highlights as the beach side Promenade des Anglais or the Cours Saleya flower market. 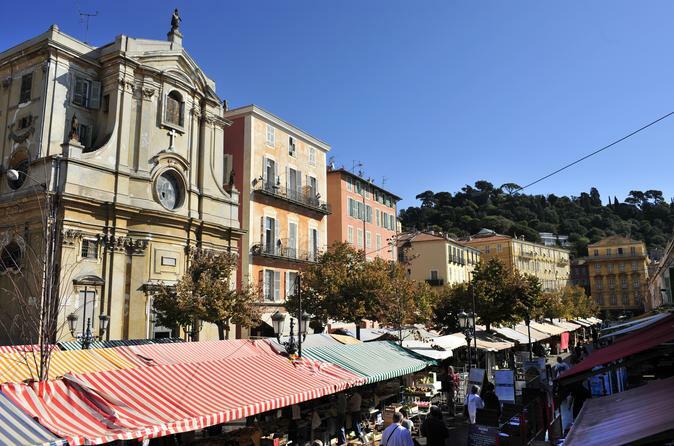 Visit the Old Town (Vieux Nice) of Nice with a stop in the famous public square. This small-group tour is limited to 8 people, ensuring a more personalized experience.